It’s understood the car was travelling from Lusmagh towards Victoria Lough when it left the road and struck a wall. GARDAÍ IN OFFALY are appealing for witnesses after a man died following a single vehicle crash this afternoon. 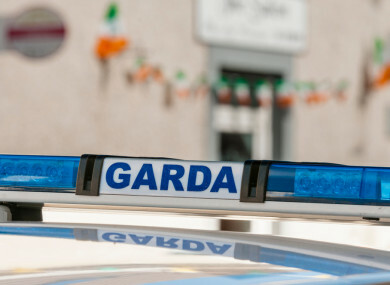 Gardaí in Birr said that they were alerted to a single car crash on a minor road at Lusmagh near Banagher at about 3pm. It’s understood the car was travelling from Lusmagh towards Victoria Lock when it left the road and struck a wall. The driver – a 35-year-old man – was pronounced dead at the scene a short time later. His passenger – a man in his late 20s – was uninjured. The body of the dead man was removed to the mortuary at the Midlands Regional Hospital where a post-mortem examination will be carried out. The local coroner has also been notified. Investigating Gardaí are appealing for witnesses. Anyone with information is asked to contact Birr Garda Station 057-9169710 or the Garda Confidential Line 1800 666 111. Email “Gardaí investigate after man (35) dies in single vehicle collision ”. Feedback on “Gardaí investigate after man (35) dies in single vehicle collision ”.